Born Antonio Carlos Brasileiro de Almeida Jobim in the affluent Rio de Janeiro district of Tijuca, the man known by his compatriots as Tom Jobim, was one of the most brilliant songwriters, arrangers and musicians – on piano and guitar – to emerge from South America during the heady heyday of the 1960s. He achieved worldwide superstar fame thanks to his key piece – ‘The Girl from Ipanema’– and while that luscious bossa nova is an all-time standard that he has replicated on numerous occasions, it doesn’t tell his tale because his music is the most glorious hybrid of Latin, pop and light jazz imaginable. One of the most important songwriters of the 20th century, Jobim’s work has soaked through the mainstream, influencing everyone from Frank Sinatra and Ella Fitzgerald to Carlos Santana, Dizzy Gillespie, Herbie Hancock and Chick Corea. His collaborations with Sinatra and the saxophonist Stan Getz are masterful while his own solo albums should be a vital part of any discerning musical collection. Recipient of the posthumous Grammy Lifetime Achievement Award, where he was honoured by his friend and kindred spirit Sergio Mendes, it’s important to say that his beautiful songs, such as ‘The Girl From Ipanema,’‘Desafinado,’‘Corcovado (Quiet Nights Of Quiet Stars),’‘Wave,’ and ‘Waters Of March’, to mention a few, became standards all over the world and were recorded by the greatest singers and musicians of our time. 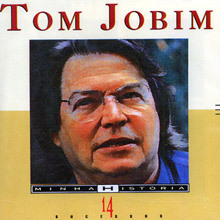 Tom Jobim's music is unique — his melodies are haunting and the harmonies extremely sophisticated. He is responsible for introducing Brazilian music to the world. His music resonates across time: you know it even if you didn’t think you did. His version of ‘Brazil’– from the album Stone Flower - was the recent sound bed for ITV’s World Cup coverage and his legacy continues as he is interpreted by younger acts like will.i.am, Diana Krall, John Legend and countless others. Rio native Jobim came from well-connected Portuguese stock – his father being a diplomat, writer and journalist. When his parents separated, Antonio went to live in Ipanema with his mother and learned to love the area that would inform his earliest songs. Playing nightclubs and bars, the young Jobim studied the works of Pixinguinha, a man who had revolutionized Brazilian music in the 1930s by adding samba to classical. The young Jobim was equally fascinated by the French romantic style of Claude Debussy and Maurice Ravel as well as the great Brazilian guitarist Heitor Villa-Lobos and airy strains of jazz. This fascinating patchwork was interwoven by such themes as nature, the beach and the natural beauty of his country as well as by age-old themes on love and betrayal, loss and an over-riding optimism in the human condition. His career took flight when he contributed to the soundtrack for Black Orpheus (1958). In the 1960s he came to prominence by teaming up with Stan Getz, Joao Gilberto and his then wife Astrud Gilberto. This alliance kick started the bossa nova craze that swept from the USA to Europe. The Getz/Gilberto album achieved astonishing success in 1964, snagging four Grammy Awards including the Album of the Year. No other jazz album would match that feat until Herbie Hancock’s, The Joni Letters in 2008. With Astrud’s enchanting vocals nudging ‘The Girl from Ipanema’ and ‘Corcovado’ into global smashes the combo of Getz's tenor, Jobim’s piano and Joao’s guitar and vocals made this an absolute stand out album. It still is. Really a case of every home should have one! What was evident now was that Jobim needed to fly on his own and this he did with a string of brilliant discs starting with The Composer of Desafinado Plays (1963) and the follow-up, The Wonderful World of Antonio Carlos Jobim (1964). This brace of beauties had an amazing impact on club jazz and airwave appreciation of Brazilian sounds. His third album, Wave, arrived during the psychedelic era of 1967 and provided the perfect antidote of calm and tranquility during that head rush season. Working with producer Creed Taylor in California, Antonio added celeste and harpsichord to his repertoire and revealed himself as a marvelous singer and guitar player. Augmented by strings and with double bassist Ron Carter holding down the pocket bossa nova grooves, Wave is a timeless gem. Following his liaisons with Frank Sinatra, Jobim returns to the fold with his immaculate 1970 album, the quite stupendous Stone Flower. This includes the aforementioned ‘Brazil’ penned by the legendary sports commentator and musician Ary Barroso, and the title track whose immaculate jazz mantra groove will be picked up by Santana for their classic disc Caravanserai. With strings arranged by Eumir Deodato, percussionists Airto Moreira and Everaldo Ferreira underpinning Joao Palma’s drum kit, this is a crash course in modern Brazilian music. Do not hesitate to investigate. It’s a glorious album. That same year he will issue Tide, revisiting ‘The Girl from Ipanema’ who is as lovely as ever, and making full use of Deodato’s arrangement skills again. Check out the CD bonus tracks for alternate and master takes of ‘Tema Jazz’. We love this and are sure you will. By the way, that’s Hubert Laws on flute and Garnett Brown on trombone. As crossover jazz goes this is as good as it gets. The self-titled Jobim (1973) maintains AC’s high-class catalogue on instrumental delights like ‘Tempo do Mar’ and ‘Matita Pere’. The virtues of easy listening are many and varied, but this is no guilty pleasure, it’s simply fantastic music. Jobim’s work on the soundtracks to The Adventurers (1970) and David Lynch’s Lost Highway (1987) bookend a chunk of his career (he died in New York in 1987. There are many compilations available and we would point out The Man from Ipanema box set, a 3-CD tribute that honours his extraordinary sound and finds space for dozens of the finest songs ever written. This beautifully presented package will only leave you wanting more. To discover this master of the Brazilian genre is one of the greatest gifts you can give yourself, and others. Very few artists have the gift to provide instant gratification: but then Antonio Carlos Jobim is not like any other artist. The first of several tribute albums issued just after Antonio Carlos Jobim's death, this one generally sticks to his most famous songs as interpreted by several Brazilian and American artists from PolyGram's archives. Jobim himself appears on such obvious choices as the best-selling Stan Getz, João Gilberto, and Astrud Gilberto hit "The Girl from Ipanema," and with Astrud on "Agua de Beber" and "Dindi," and again with Elis Regina on an "Aguas de Marco" that nearly breaks up with laughter. The American contributions are a mixed bag; Sarah Vaughan's "Corcovado," for example, is rather inappropriately overwrought but Wes Montgomery's "Insensatez" is a beautiful recording, with Jobim's favored arranger, Claus Ogerman, in top wistful form. The other jazzers on the CD are Billy Eckstine, Ella Fitzgerald, Oscar Peterson, Shirley Horn, and Dizzy Gillespie, proving that Jobim's timelessly aching music attracted quite a diverse cross-section of admirers. 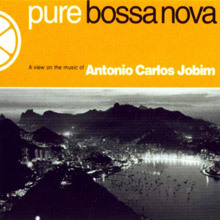 An installation of the Pure Bossa Nova series focussing on the timeless recordings of Antonio Carlos Jobim. Issued nearly a year after Jobim's death, this three-CD set is ground zero, the place to start if you don't have any Jobim in your collection or for anyone who wants a single package of his multifaceted art. 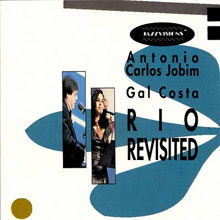 The set encompasses not only Jobim's own sporadic work for Verve from 1963 until his final 1994 Carnegie Hall concert and the two A&M albums of 1967 and 1970, but also sessions led by Stan Getz, Joao, and Astrud Gilberto in which Jobim appeared as a sideman. 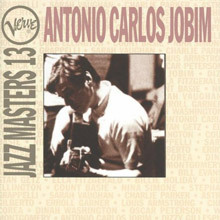 Guitarist Oscar Castro-Neves, who selected the music for this set, follows a unique game plan, devoting disc one to vocal renditions of Jobim's songs, disc two to instrumental versions, and disc three to multiple comparisons of a few Jobim standards by different performers. The selections are often adventurous, and the programming digs deeply into Jobim's PolyGram catalog for such overlooked gems as the bossa waltz "Mojave," the sly "Captain Bacardi," and the self-mocking "Chansong." For casual listening, discs one and two flow beautifully, and even disc three works, for despite the repetition of tunes, the approaches are varied enough to keep one's attention. Jobim collectors probably have almost everything on the set anyway, as there are no unreleased tracks other than a humorous uncredited rehearsal of "Aguas de Marco" tacked onto the end of "Vivo Sonhando." But they are certain to be attracted by the unique packaging -- a double-spiraled fold-out book containing lots of fascinating interviews and essays, and three discs wrapped in paper cutouts environmentally designed to look like fish, flowers, and leaves. The CD era's most imaginative graphics department has done it again. 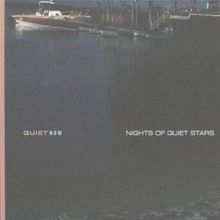 Antonio Carlos Jobim's Quiet Now: Nights of Quiet Stars is probably the most successful entry in this series of Polygram reissues, because the Brazilian composer's music is so blissfully suited to compilations that focus on the gentle, romantic side of jazz. Perhaps it's his sleepy, low-key voice, which makes Perry Como sound like Darby Crash, or the mellow casualness of his melodies, which mine a remarkable number of subtle emotional shadings out of a surprisingly limited number of guitar chords and the intangible Brazilian concept of saudade, a kind of happy-sadness-shading-into-sad happiness that's at the root of his music. All of these 13 tracks are familiar to even casual Antonio Carlos Jobim fans -- indeed, those who have the three-disc set The Man From Ipanema are missing almost nothing of consequence -- but they're very cleverly sequenced, progressing from the scene-setting (and title-providing) "Corcovado" (the classic Elis Regina version), slowly progressing to the childlike bliss of Astrud Gilberto's take on "Dindi," and then back down to the shimmering stillness of Regina's version of "Inutil Paisagem," a lovely bit of melancholy. It's nothing new, but it's terrific mood music. Not only did Jobim stay active until the end of his life, he showed virtually no signs of creative burnout, as this, his last album, wondrously displays. Surrounded again by family and friends, he delivered a brace of 13 songs and compositions (plus two songs by the veteran songwriter Dorival Caymmi), many of them relatively new, most as heartbreakingly beautiful as anything from the bossa nova years. Sometimes Jobim's voice, never impressive, is almost gone and the production has a rough-hewn finish, but it doesn't matter; Jobim's craft and his brood carry him through, and son Paulo Jobim provides thick but highly competent orchestral arrangements. An especially touching passage is the brief "Samba de Maria Luiza," a Jobim duet with his little daughter Maria Luiza, who also turns up on the succeeding ode for the environment, "Forever Green." The final tone poem, "Trem De Ferro," obviously inspired by Heitor Villa-Lobos, is also the most startling, a strange chugging simulation of a train cutting through the underbrush. 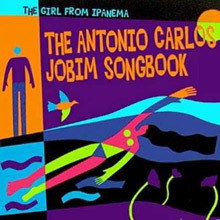 There is also an idiomatic duet with Sting on the familiar "How Insensitive" (later included on the Red, Hot and Rio anthology), and Caymmi makes a guest vocal appearance on "Maricotinha." Obviously Jobim still had a lot to give, making his death later in 1994 an even more poignant blow. Issued for the Latin market only, though pressed in the U.S., the CD is not difficult to locate in well-stocked big city shops. 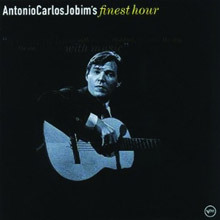 Antonio Carlos Jobim's entry in the exhaustive VERVE JAZZ MASTERS set of historical reissues is one of the best single-disc Jobim anthologies available. It's not got much in the way of historical range, since it stops in the mid-'60s, just before Jobim left Verve for Reprise and then A&M. However, since Jobim's Verve years were, in the minds of many, his career highpoint, VERVE JAZZ MASTERS 13 distills the best of his most artistically and commercially successful period. Nearly all of Jobim's greatest songs are here in their definitive versions, and the whole is sequenced thoughtfully, so that the disc has a logical and delightful flow. This is magnificent stuff, as well as being the birth of bossa nova. 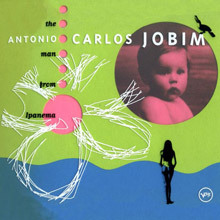 Recorded at a video taping in the Wiltern Theatre in Los Angeles as part of the Jazzvisions series, this was Jobim's live act shortly after he resumed touring in the mid-'80s. At the time, Jobim struck an avuncular, almost casually anti-show-business presence seated before a grand piano, presiding over a large ensemble composed of friends and family, singing in his endearingly rough, now-threadbare voice. Some of the performances here are little more than pro-forma run-throughs of standard Jobim oldies but things perk up when Jobim digs into some lesser-known compositions like his "Song of the Jet" and son Paulo's catchy "Samba do Soho." In any case, the material is always superb and the cool-voiced, always in-pitch Brazilian singer Gal Costa turns up on a few numbers.